Read parts one (HERE), two (HERE) and three (HERE). PACK EXPO 2015 is only one week away! We’re looking forward to seeing everyone in Las Vegas next week. We are premiering two brand new conveyors at the show! Take a first look at them here. 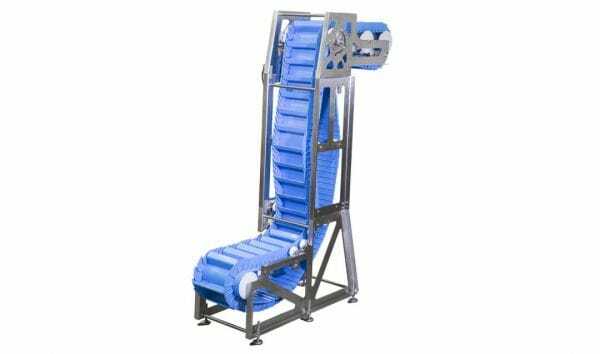 The AquaPruf 7600 VBT is designed for elevating bulk products in a sanitary environment. The NEW SmartGrip conveyor utilizes Grabit’s electroadhesion technology to securely move boxes and packages at steep angles and fast speeds. The electroadhesion acts like a magnet to create a strong holding force without damaging the product. Stop by and see these new conveyors in Booth C-1847 next week!